Tema Manhean, Feb 14, GNA - Faith based and traditional/herbal healers have been cautioned against preventing mental health patients from following their orthodox medications prescribed for them by health workers. Mr Pious Tay, Senior Staff Nurse in-charge of the Community Psychiatry Unit, Tema Manhean Health Centre, who gave the caution, said the practice could lead to a relapse in the treatment. Mr Tay in an interview with the Ghana News Agency, noted that activities of these religious and herbal healers could also lead to drug interactions as some of them stopped the patients from following their treatment and rather gave them herbal concoctions to drink. He added that their visits to some of these centres revealed that apart from the numerous herbal mixtures given to such patients, they bathed and performed rituals for them mostly at midnight, and resorted to prayers to heal their clients. He pleaded with them to always refer all mental health patients to the Community Psychiatry Unit in the various public health institutions for medical examination and care. The Senior Staff Nurse also urged these centres to encourage patients to return to their families when their situation improved as according to him, the practice of camping healed patients at their centres could lead to family break-ups. 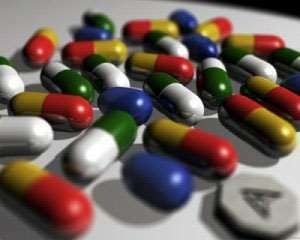 Mr Tay, touching on the availability of mental health medications, lamented that the three community psychiatric units in the Tema Metropolis in 2017 did not receive all the needed drugs for their patients, this he said, caused a lot of relapses in treatment. He also revealed that the drugs had not been captured under National Health Insurance Scheme (NHIS) making it expensive for patients to purchase therefore resorting to the use of prayers and herbal medications. He called for the building of a safe and privacy enabled buildings for the unit to prevent stigmatization of patients as well as to enable them detain or admit aggressive patients when needed. He explained that due to the absence of such a facility with beds, aggressive patients who need detainment were referred to the Accra Psychiatric Hospital a place he described as already congested. Mr Tay indicated that psychiatric health workers must be given a risk cover as they receive a lot of human bites. He recalled how a patient sprayed something into the eyes of his colleagues during home visit as well as some human bites he got of an aggressive patient in 2017. Meanwhile, the Tema Metropolitan Health Directorate in 2017, recorded a total of 157 schizophrenia and delusional conditions, 51 depression cases, 25, 20, and 72 bipolar disorders, organic mental disorders, and epilepsy/seizures respectively among others.